The Magazine for Cub Cadet Owners, Collectors & Enthusiasts! The 'Original' where it all began. Since the very first Cub Cadet garden tractor rolled off the assembly line at the Louisville Works in early January 1961, to the 2000 series garden tractor editions available today, these tractors have had, and continue to have, a very loyal following! 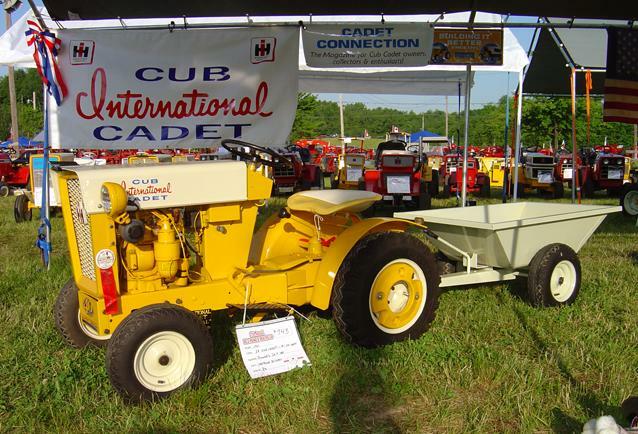 IH Cub Cadet Unofficial Home Page for some great info on Cub Cadets! Pictured on this page, is a 1961 Cub Cadet 'Original' manufactured by International Harvester from 1961 to 1963. They were the first farm equipment company to produce, manufacture, and market their own line of garden tractors. Mtd is putting that same quality into their machines as International Harvester began doing over 50 plus years ago and drawing on that same great heritage. 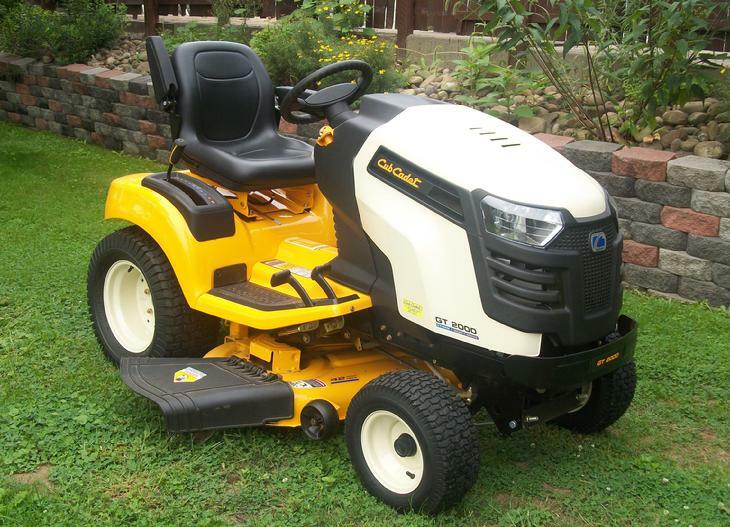 Pictured directly above is a 2011 model GT2000, the series 2000 garden tractors are designed to bring forth the Cub Cadet's 50 years of unparalleled quality and tradition. These machines are simply the finest pieces of outdoor power equipment available. It is amazing how similar these machines really are, not so much in appearance, but in the components used to make such a durable piece of equipment. Try buying a brand X machine and still purchase parts for them 40 and 50 years from now, and it's impossible. It will surprise you how many parts there are in stock for these older machines at your local Cub Cadet or Case/IH dealer. Cub Cadet Power Equipment......it just doesn't get any better!! We also invite you to visit /http://www.cubcadetcollectors.com/forum for another great forum on Cub Cadets!